Natacha V. Beim is a renowned writer, speaker and educational leader. Born in Uruguay and raised in Montréal, she has traveled extensively and studied several countries’ educational approaches. She now resides in Vancouver, Canada, with her husband and two sons. She is the Founder and CEO of Core Education & Fine Arts, and divides her time between research, writing and speaking engagements. Natacha has many accomplishments in her name: She wrote a poetry book at the age of sixteen, which got published and was sold out; she speaks three languages fluently and understands two more; and she graduated two years early by doubling her course loads. She also excelled in many areas, including as a teacher, ballerina, model, journalist, painter, writer, actress (theatre) and runner. 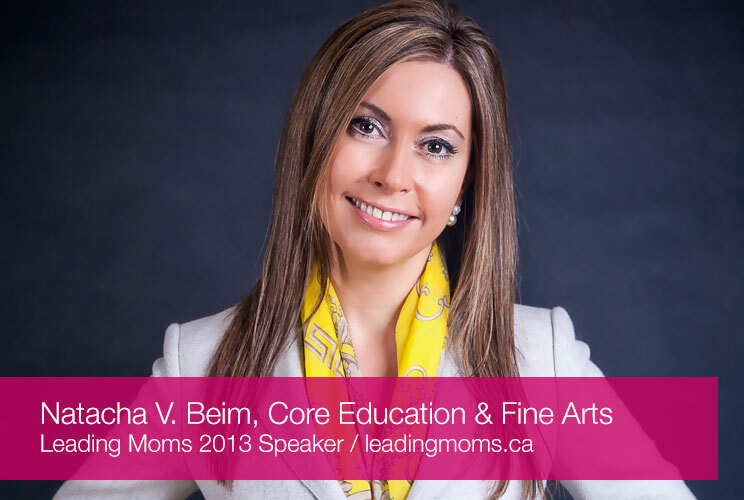 Although she devotes some of her time to these interests, her passion, and most of her time, is in the CEFA Early Learning schools that she created, which continue to expand throughout North America. Natacha established Core Education & Fine Arts (CEFA), Canada’s first junior kindergarten school, in 1998. Our full day early learning program is designed for infants and children up to five years old. The enriched curriculum features a unique partnership of core subjects, such as Reading and Math, with fine arts, including Drama and Yoga, providing children with the freedom to learn and grow through play. Our program has a reputation of highly developing a child’s intellect and delivering the finest start in education, arts, and the humanities. The full day early learning and junior kindergarten programs at CEFA are far beyond the typical child care programs found throughout Canada. Each of our Teachers are trained Early Childhood Educators who, in addition to their qualifications, are trained and certified by CEFA Educational Systems to become specialized junior kindergarten Teachers.